Please help 30 kids w/ CHD get open-heart surgery. by Let it Echo, Inc.
Let it Echo, Inc. hasn't added a story. An attempt to set the LONGEST FOOTBALL MATCH for 101 HOURS and at the same time an awareness and fundraising campaign for kids with congenital heart defect. Lexmark Football Club in cooperation with BPO football clubs in Cebu are set to play in the longest football match in the world on December 2-6, 2014. This campaign was launched officially last September 29 at the Ayala Active Zone, Cebu City. United Kingdom set a 72-hour football marathon in May 2013 which was just recently bested over by France with 73 hours although there's no official announcement yet. Now our group opt to break that record and raise the bar higher with 101 hours of football game to be held in San Roque Football Field in Mandaue City- the neighbor of Cebu City and part of the Cebu metropolis. Cebu Football Association, The Mandaue City government and Lexmark Cebu are also some of the prime movers of this event. And as we claim the Guinness World Records for this feat, we would also like to set the next viral awareness and fund-raising campaign about CHD or congenital heart defectswhich a lot of children are afflicted with. That for every 100 babies born, there is at least 1 with CHD. And that with every kick of the ball by our football players people would be aware about the defect and hopefully donate to the cause. Thus, KICK for LIFE and hashtag #webreakwemend are just but apt. Consequently, there are 30 (and counting) kids in line for operation this year and each kid is very expensive, both literally and figuratively. 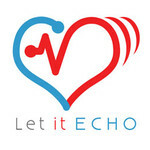 Let It Echo, Inc. - an NGO which aims to aid patients and their families afflicted with CHD- is the sole beneficiary of this event, not to mention their full support in the organizing of this event. There are around 50 amateur players under the training and conditioning pool for the 101 hours match, 4 training coaches, about 80 organizing committee members, more or less 45 game officials -- all these are VOLUNTEERS in varying degrees. We need more support to make this happen from the training and weekend matches, especially for the 5-day requirements to hold the game: food, uniforms, hydration, player raincoats, hats, organizing t-shirts, supplements, nurses, doctors, masseuse, sleeping accommodations, technical equipment with staging, performers, endorsers, etc. The event started from scratch with the players shelling out their own money for training needs while the organizers cover the basic expense - assemblies, in-depth planning sessions, marketing and promotions. We hope to SIGN YOU UP in this cause and hopefully become our partner in making this event a success. Let it Echo, Inc. hasn't posted any updates yet. Let it Echo, Inc. is managing the funds for this campaign. Let it Echo, Inc. is a verified organization.